We are planning on small sessions in order to cover several items. Brown belts and above are invited. Hope to see you all there. If anyone notices missing names, please spread the word. 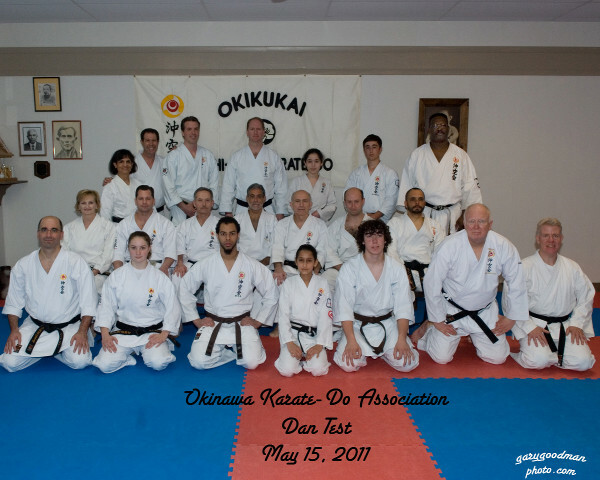 The Association’s Spring promotional was held on Sunday May 15th, 2011 at the Okinawan Karate Club, Stoughton. There were seven candidates testing for rank from shodan to to yondan. Great spirit was shone by all of the participants. The board members noted the improvement of all candidates since the pre-test and were very pleased with the level of achievement. All students passed and were awarded their new rank. I recently had the opportunity to ask Sensei Russ a couple of questions. Many thanks to him for taking the time to answer so we could post it here on the site. Q: When and where did you start training in martial arts? A: Started with George Matteson in Boston around September 1972 while studying Judo and wanted a more combative style rather than a sport martial art. Promoted to Shodan while with Sensei Van Canna in March 1974. Q: What was an early influential experience that helped shape you as an instructor? A: Although I had been training under Sensei Jack Summers from the beginning I re-connected with him full time around 1990. I was so impressed with his technical connection with Uechi Karate and on how he connected with students. I was hooked and wanted more. I always thought helping out in any organization I belonged to was how you got involved, it did not matter if it was paperwork or cleaning, etc… The duties evolved into helping out with children classes and I really enjoyed the challenge. I also believe the future of any Dojo is through these young students. Q: How has Karate impacted your life? A: Martial arts has helped me both in a mental and physical aspect but the greatest impact would be the many great friends I have met through the years. They have become my Karate family. My belief at an early age was to train for the future, by training slow and steady, I hope to continue Karate for many more years. Q: What aspect of Karate are you currently focusing on? A: Practicing more Kata to become a better student. Working on the understanding of breathing and timing in Kata movements to become more efficient and effective. Q: What advice would you give a new student? A: All new students want the kumite aspect of Martial arts. It’s understandable that they believe the “Art” is all about self defense. My advice is to keep attending to find that the formality of Kata will help with all aspects of the Martial Arts. 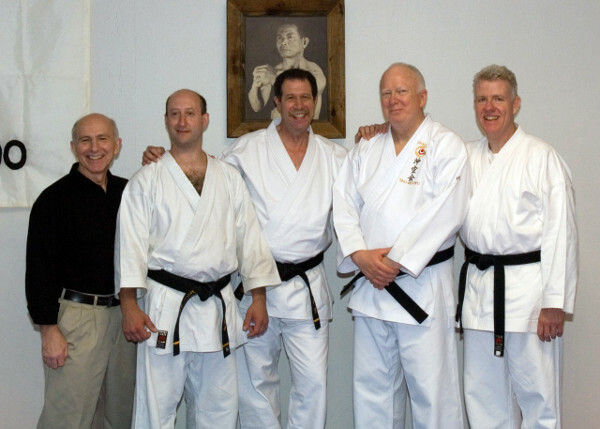 Sensei Russ teaches on Saturday morning and most Wednesday evenings at IOK.